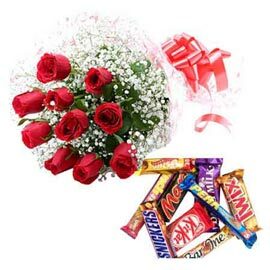 It is next to impossible to find a person who does not like Chocolate. 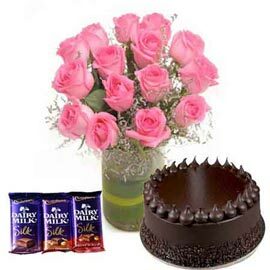 Chocolate is one of the yummiest creations on this earth. 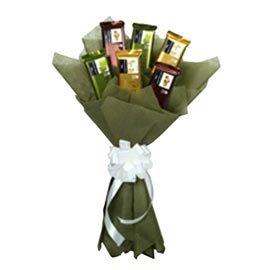 When we want to surprise somebody with Gift, Chocolate is our first choice. 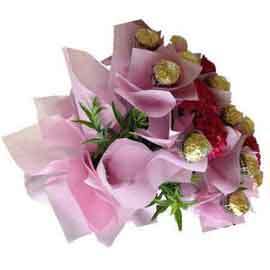 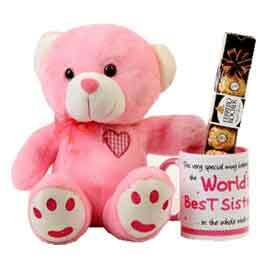 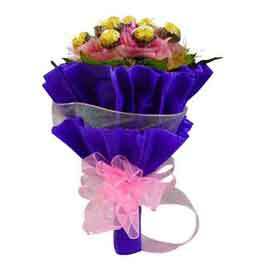 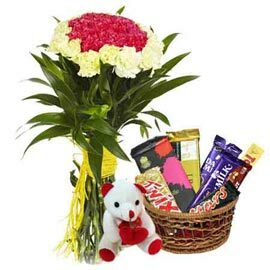 It is one of the gift items which do not occasion dependent. 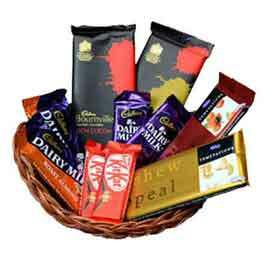 Chocolates are enough to celebrate every occasion. 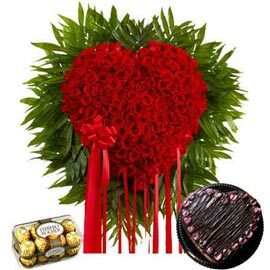 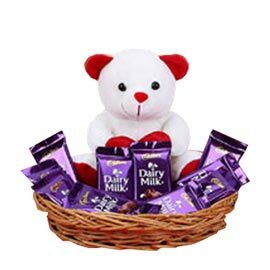 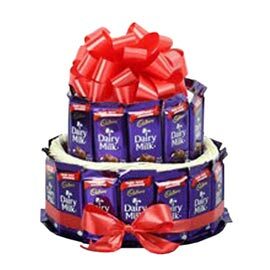 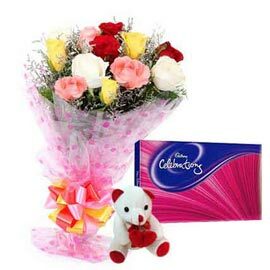 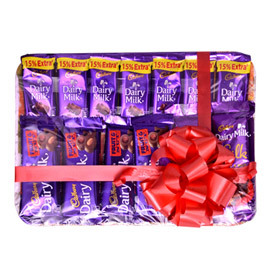 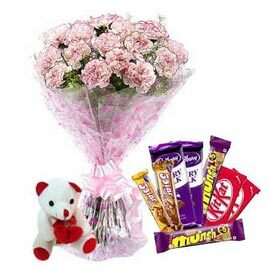 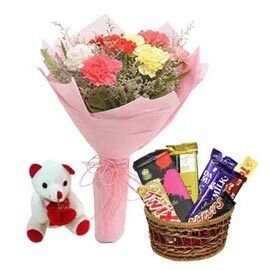 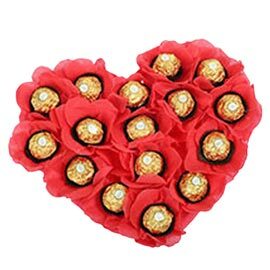 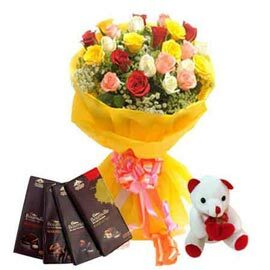 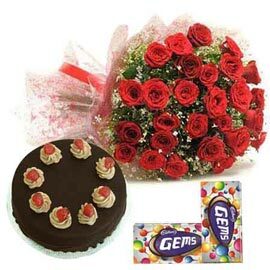 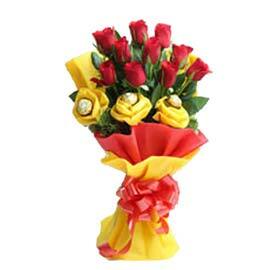 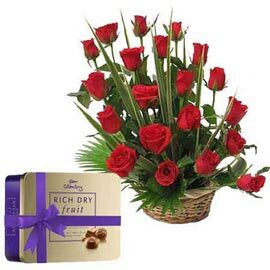 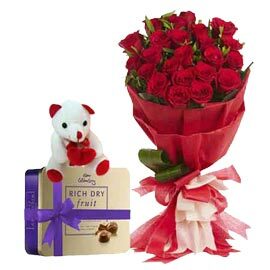 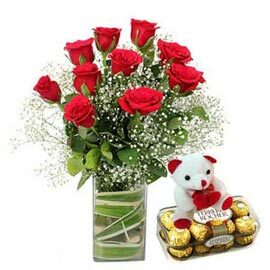 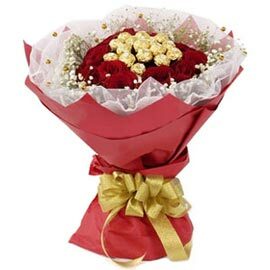 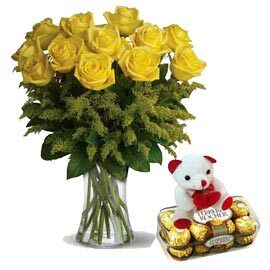 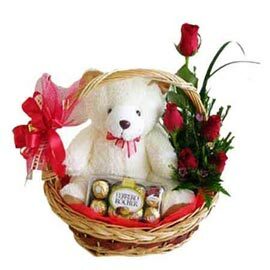 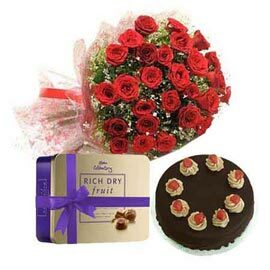 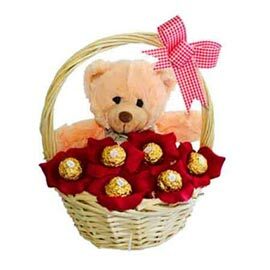 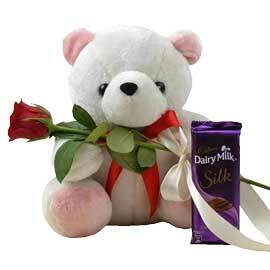 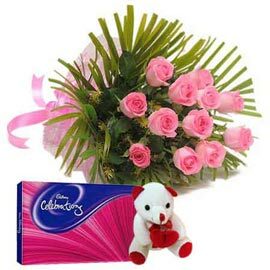 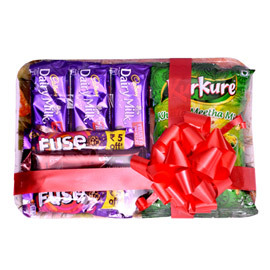 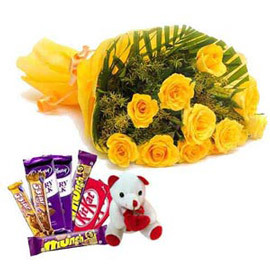 Through Kanpur gifts, you can Gift & Send Chocolates to Kanpur Online to your dear ones. 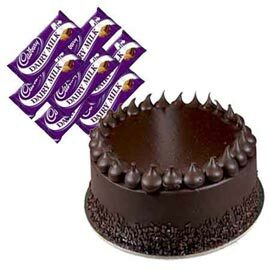 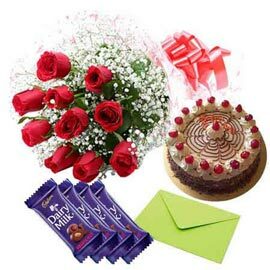 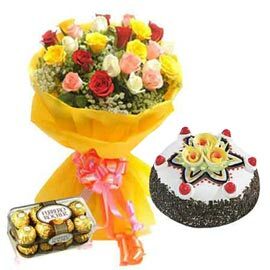 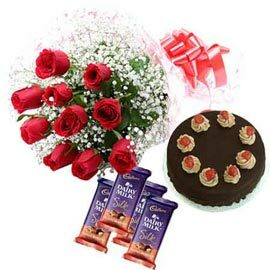 In Gift section, we have options of Chocolate in Cake Combo and Flowers Combo also in which one can Order Chocolates with their favorite Flower or Cake or both. 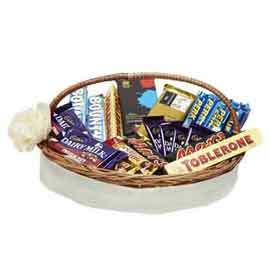 We have all the premium Chocolates as Ferrero Rocher, Dairy Milk, Temptation, Bournville, Twix, Mars etc. 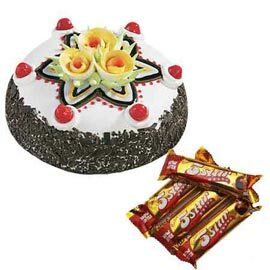 Chocolate melts more with each bite and makes us feel more satisfied. 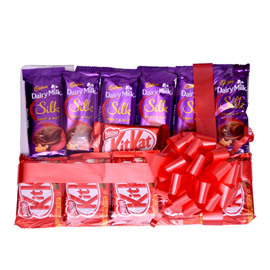 Chocolate is never obsolete, it is always a trendy Gift for every age group. 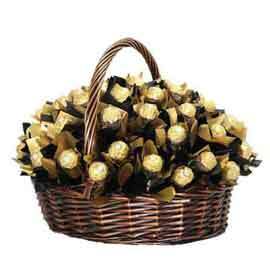 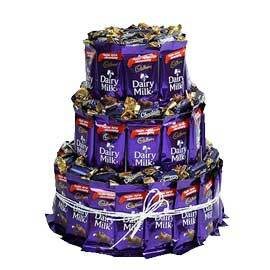 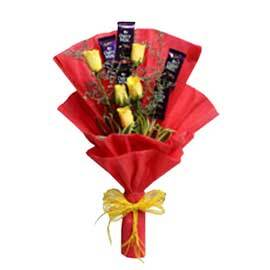 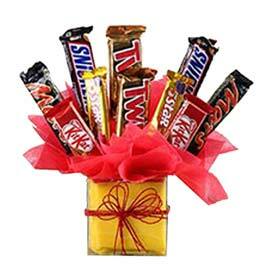 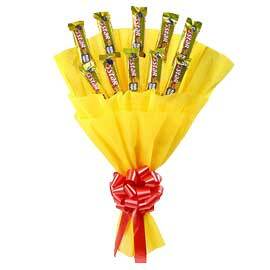 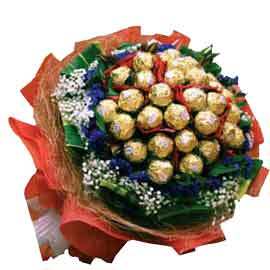 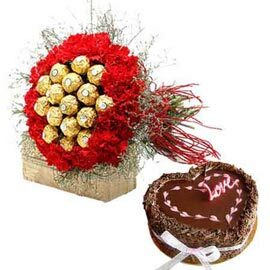 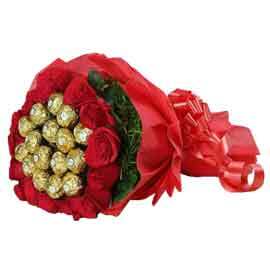 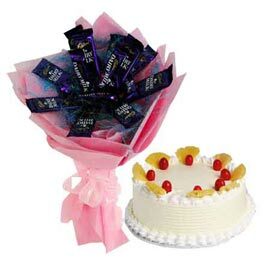 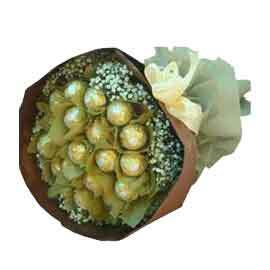 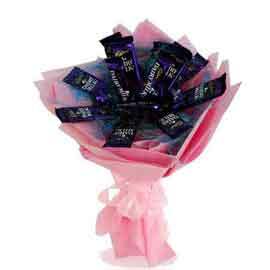 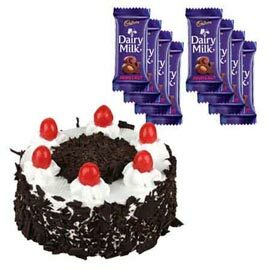 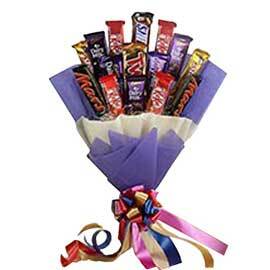 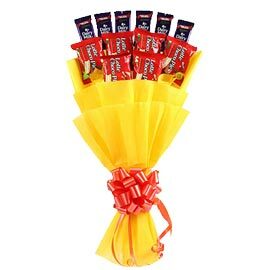 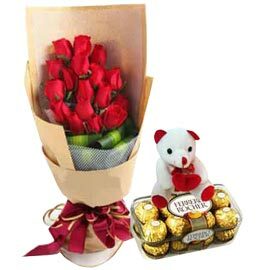 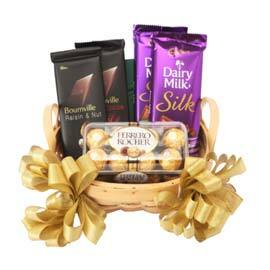 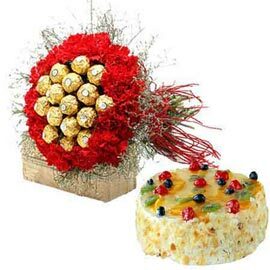 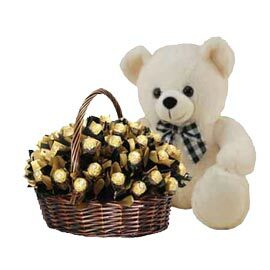 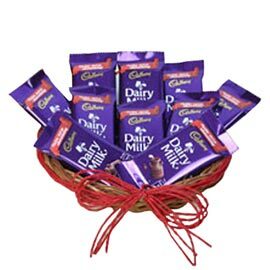 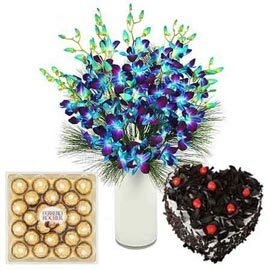 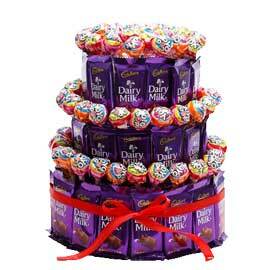 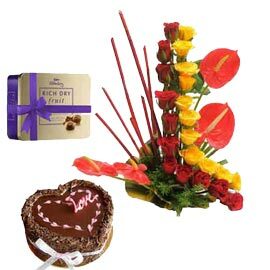 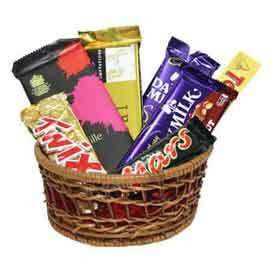 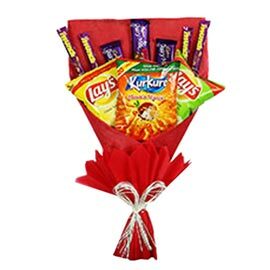 We have classier look for Chocolate and that is Chocolate Bouquet and hampers. 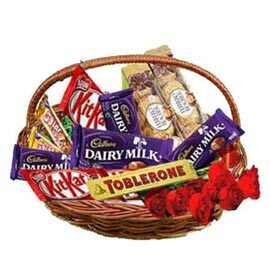 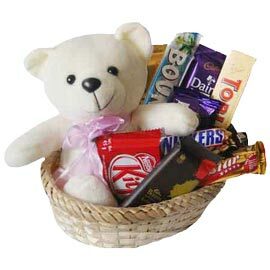 In Chocolate Bouquet and hampers, we offer Chocolates with the different number, variety, and styles as in classic Bouquet, Basket or box arrangements. 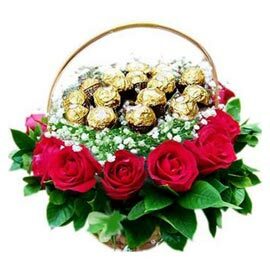 Midnight surprises are most delightful surprises; each one of us expects this wonderful moment to knock our door. 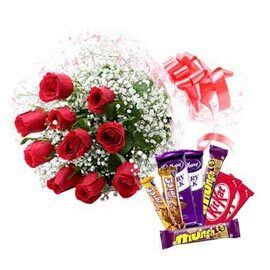 When Midnight surprises are unwrapped and Chocolates appear then the sweetness of the moment multiplies. 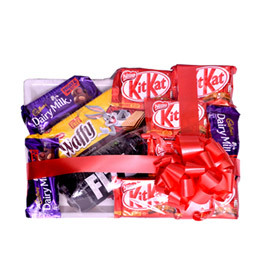 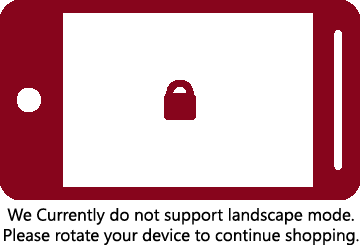 ‘Kanpur Gifts’ is the most preferred stop for ordering Midnight and Same Day Delivery of Chocolate and Chocolate combinations. 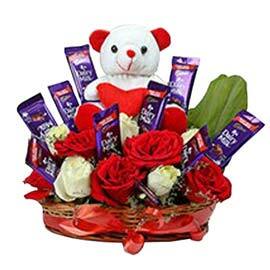 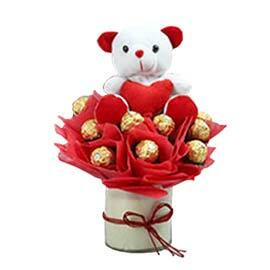 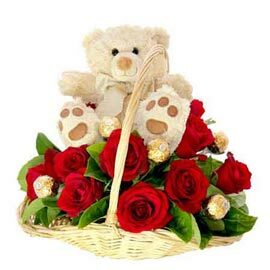 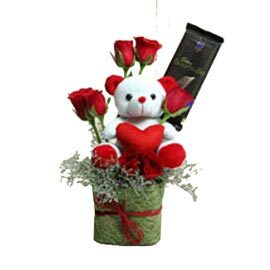 Flower and Teddy Bear intensify the love in Chocolate combination. 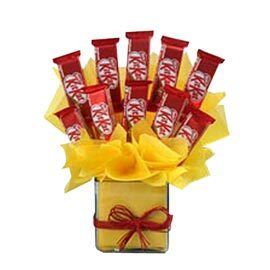 This Combo melts the heart and let the love flow through arteries. 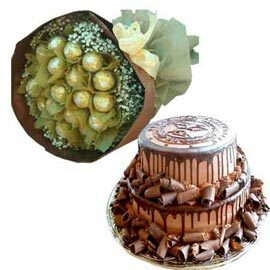 For the sweet tooth group our Chocolate combined with sweet, nuts and specialty cakes in the variety of theme, flavor, color, shape, and size; take the heart away. 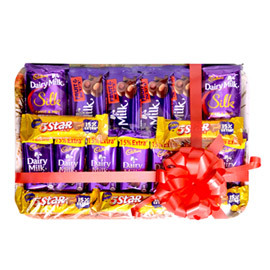 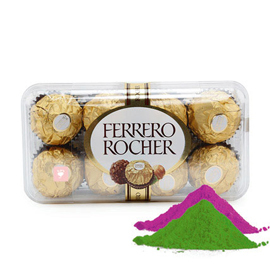 Click and Gift your loved ones the Chocolate Combos they like and expect from you.